​Barcelona are looking to bring in a goalscoring backup to Luis Suarez in the January transfer window, with Girona's veteran star Cristhian Stuani top of their short list. The 32-year-old had only once hit double figures in a top flight season in his career - 12 with Espanyol in 2014/15 - until he moved from Middlesbrough to Girona 18 months ago, becoming a late-career revelation in the style of Aritz Aduriz and Ruben Castro. ​Sport report that the Catalan side are considering activating Stuani's release clause, which is set at just €15m, as they look to add depth to their squad for a deep challenge in all competitions. 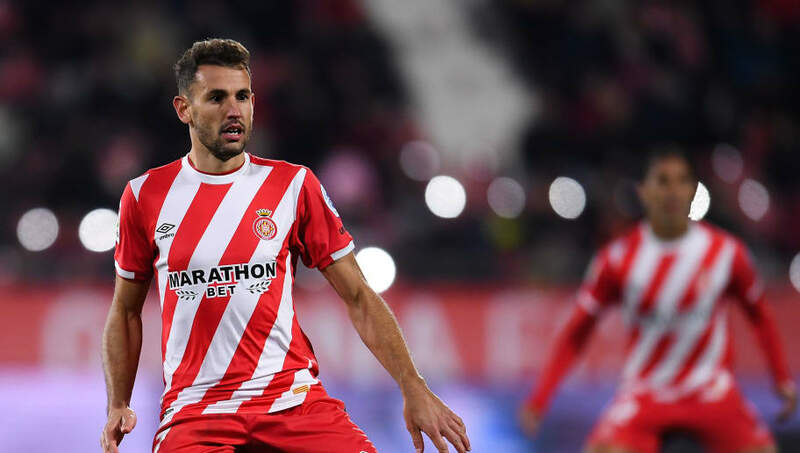 Since arriving at the Estadi Montilivi, Stuani's 33 goals in 50 games have marked him as one of the league's top marksmen - finishing behind only ​Lionel Messi, ​Cristiano Ronaldo and ​Luis Suarez, naturally, as well as Iago Aspas in the league's goalscoring charts last season. The Uruguayan hasn't slowed down this season either, trailing only the ​Barcelona pair of Messi and Suarez with 12 goals at the season's halfway point. The departure of Munir to Sevilla last week has sharpened Barcelona's focus in the market, putting them in a position where their need for a forward is almost undeniable - even though they are more or less unable - and certainly unwilling - to pay the big ticket price on a more marketable name. At this halfway point of the season, Ernesto Valverde's side are the overwhelming favourites to retain their Primera Division crown, sitting five points ahead of an Atletico Madrid side who may well focus more heavily on Champions League progression, and a full ten points ahead of Sevilla and ​Real Madrid in third and fourth.